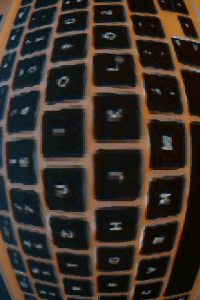 Since we are currently working on some augmented reality stuff for Android I need to show the camera image using OpenGL ES. It works great with pure Java if one uses only the grayscale image. However, I needed the color image. The G1’s camera delivers the image in a YUV format while OpenGL only understand RGB images. Unfortunately it is out of question to convert the YUV image to RGB in pure Java for images with 480×320 pixels. Thus, I used the NDK to implement the conversion. The code below does the job. It is based on code provided by Tom Gibara. 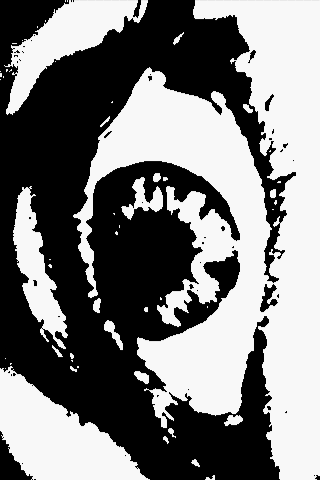 * Converts the input image from YUV to a RGB 5_6_5 image. * The size of the output buffer must be at least the size of the input image. 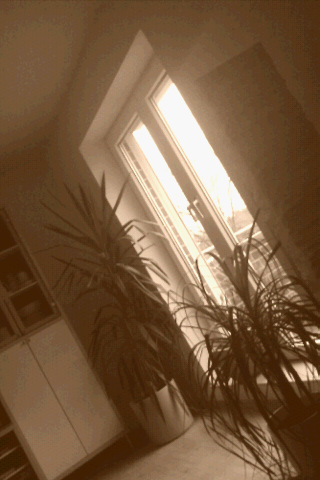 To make it more interesting I added some filter to the camera image. There is a demo app in the market (direct link to the market). I tried to make the whole thing portable but would love to know if it works on other devices like the Motorola Milestone. 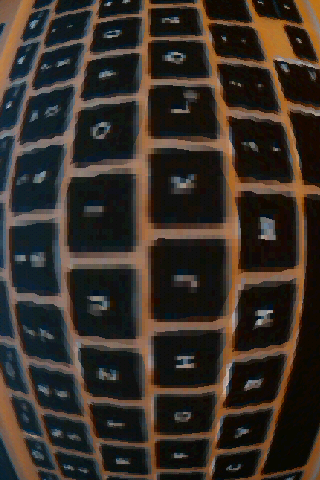 This entry was posted in Android, NDK, programming and tagged Android, augmented reality, C, camera, Fisheye, image processing, Java, NDK, OpenGL on November 27, 2009 by Niels. I have the Moto Droid (android 2.0) and am in search of a reliable app that will allow me to use the Driod as a regular video camera and auto save the recordings to the SD card if possible with the ability to turn the led light on and off with in the app while recording. Works on the Google nexus OS 2.1. Very basic but really funny. I have a question: is it possible for me to receive the code that belongs to this project/program. I have implemented it on the G1, but for some reason your application runs about (this is a guess) 2-3 fps faster. My goal is to do some image processing tasks on the android platform. There is no commercial interest, since this is part of my master thesis at the University of Utrecht. Moto droid verizon does not work, black, no trace. G1/adp fine. Send email, will forward you code for similar tests to play with and clean for demos. Could you please mail me the sources? it brings augmented reality to the android platform. I would like to know how toconnect the camera with NDK. I am a phd student at UK. I work on a project titled “image processing on mobile”. It would be greatly appreciated if you send me your source code. You are work is great! I am also a research student in field of computer vision, would you kindly share the code for me as reference. I really appreciate the performance of you app. great work. Is it also possible to extract the frames of a playing video and forward them to the post processing you use? This would be really important for me, maybe we can get in touch via email? I’m a little confused. I’ve checked this piece of code and I receive OutOfMem exception. I don’t know what is going on. Could you help me with it? 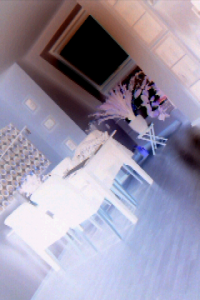 Hi, great work, I’m working with OpenGL ES and ARToolKit to produce a AR video stream of camera on android. Also, would there be a performance gain from declaring the temporary variables outside the loop? Great work! I am trying to create a Computer Vision App for my bachelor thessis and i would like to use NDK, but i am not sure, how to use this JNI code in Java. Can you send me your java class, where you convert YUV byte array to bitmap by this native code? “is it possible to receive the code that belongs to this project/program? nice work. It is always good to speed up the repetitive and slow pieces of code, like this tricky image conversion part. However, I was unable to make it work. How do you call your wrapper in the java file? I am a computer science student from Tunisia. where should i do the conversion in NDK? and how should i call it from the java file? Is it possible for you to send this this source code? deeply appreciated! Hi, I’m also wonder if its possible to convert YUV byte array to bitmap using this code? Hey Niels,Great post and a really helpful one too ! Just wanted 2 point out that the program compiles fine ( with minor adjustments in the C++ routines ).However,while running the app on the google nexus s,it exits abnormally. I had passed a bytebuffer of the same size as the yuvs(both size:240×160) to the function and I am not really sure why the program exits here. The Log shows a "channel broken and program exits error". Could you please send me the source on how to do tis? I am a student in Ukraine. I work on a project named “Computer Vision”. It would be greatly appreciated if you send me your source code. Hi, could you post the source code please? It would highly appreciated ! I am completely new to ndk, and I have some questions regarding how to call this function. 1)In function header what is “jclass clazz”? 2)What you pass for “jobject imageOut”? Use 3 textures. Don’t convert YUV to RGB.